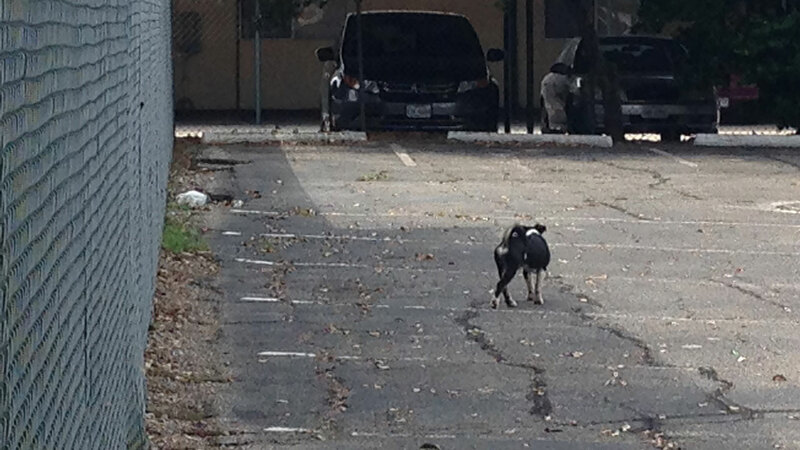 BELLAIRE, TX (KTRK) -- Residents in Bellaire are concerned the dogs are killing other animals and could attack people in the future, and catching the dogs is proving to be difficult. The dogs rarely come out during the day and have figured out a way to stay one step ahead of those trying to catch them. They may be roaming free but we managed to catch the roaming packs on dogs on camera. These are just a few of the dogs Bellaire residents have been complaining about for months. "I know everybody here, from the churches to everybody who lives here, have been calling because they are just getting run over in the street and they are a danger to society and the other dogs," resident Dean Worthington said. The dogs are elusive for two reasons: They have found a home behind a large fence around an equipment storage facility. And then there is the sewer system. "They will dart from the sewer to the street and back and forth and bark at people. They don't seem to be social in any way or anybody's pets," Worthington said. The dogs have figured out the safest way to travel around down is in the drainage pipes. The network of underground tunnels are big enough for this guy to get around town undetected. While most people may see the dogs as nuisance, some homeowners are worried smaller pets may become prey to the growing pack. "They need to control that. You got a complaint about somebody that said it killed a cat, but I don't know; I don't see no tags or nothing," resident Warren Jackson said. Animal Control officers from Bellaire and Houston are coordinating their efforts to catch the dogs and plan to set traps in the near future. "It's been called in and nothing's ever happened, so maybe something is happening now," Jackson said. The dogs' days are numbered, if animal control can catch them. Officers cannot go on to private property to remove the dogs without permission, and so far, they don't have that OK to do that.